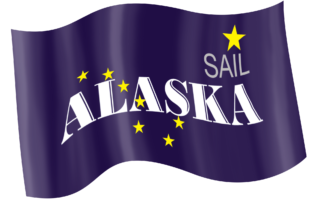 Sail Alaska is a 2,500 mile, 12-week cruising educational program for boaters of all levels of experience with both sail and power. The trip is designed to give captain and crew a taste of long-distance cruising and the basics of self-sufficiency in a very real environment, surrounded by like-minded people to share with and learn from. 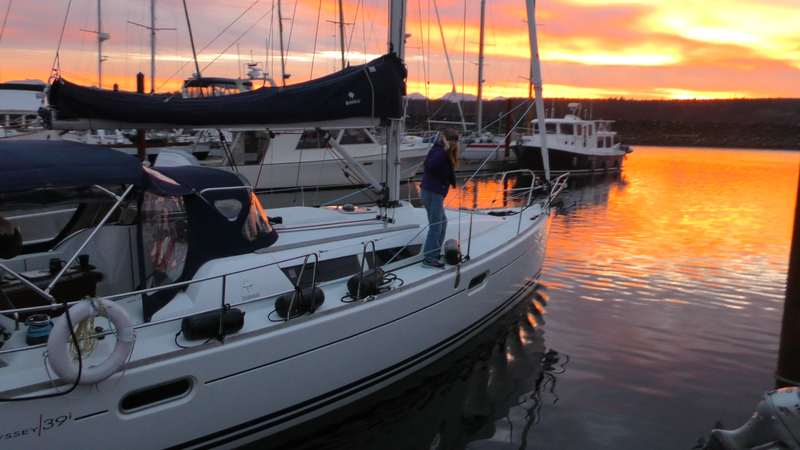 Sail Alaska attendees benefit from the guidance of Jim Rard, owner of Marine Servicenter, located in Anacortes and Seattle, Washington. Rard brings humor, charm, 50 years and hundreds of thousands of miles of boating experience. Working alongside mechanics and electricians from the boat yard, participants acquire hands- on experience on boat systems and preparation, but most importantly….what to do if things don’t go as planned. Each night, there will be a briefing on what to expect the next day with time for discussion and questions. 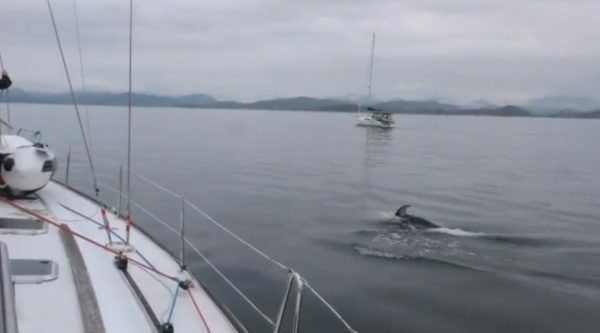 Attendees of “Sail Alaska,” also receive instruction on navigating the extreme tides, strong currents, and other challenges presented by Alaska’s coastal waters, as well as how to use currents and back eddies to make the cruise easier and safer. 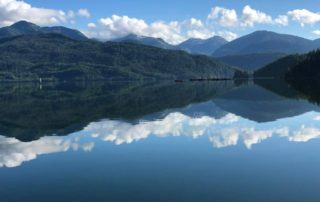 Of course, among all the learning there will be plenty of time to relax, go hiking, kayaking, fishing and experience spectacular Alaska! Friendships will be made and many stories shared around the campfire. At the end of the tour, boaters will know where and how to anchor, how to decide what time of day passages should be avoided or traversed, and lessons not offered by the average boating course (how to avoid grizzly bears, build a pizza oven out of shore rock, and the basics of catching and smoking salmon). 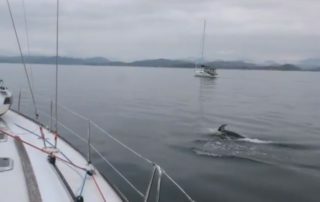 They will also have a great story to tell about their trip of a lifetime from Anacortes to Alaska and back! 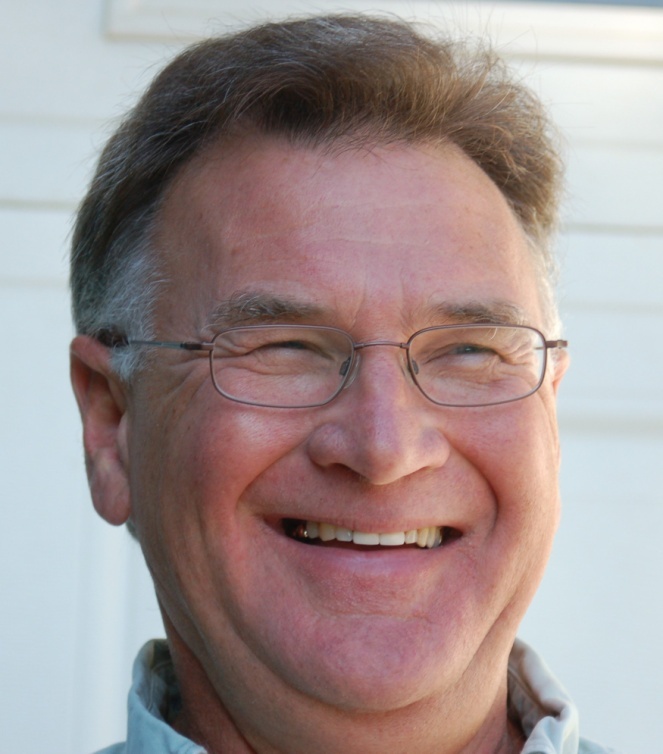 Jim left a background in aircraft maintenance and engineering to found Marine Servicenter in 1977. His leadership and hands-on participation have been key factors in the steady growth of the company. His design skills have helped make Marine Servicenter the area’s leader in custom systems. 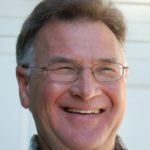 Jim holds a masters license with the US Coast Guard, is involved in local club racing, and served on the board of both the Northwest Marine Trade Association and the Northwest Yacht Brokers’ Association. 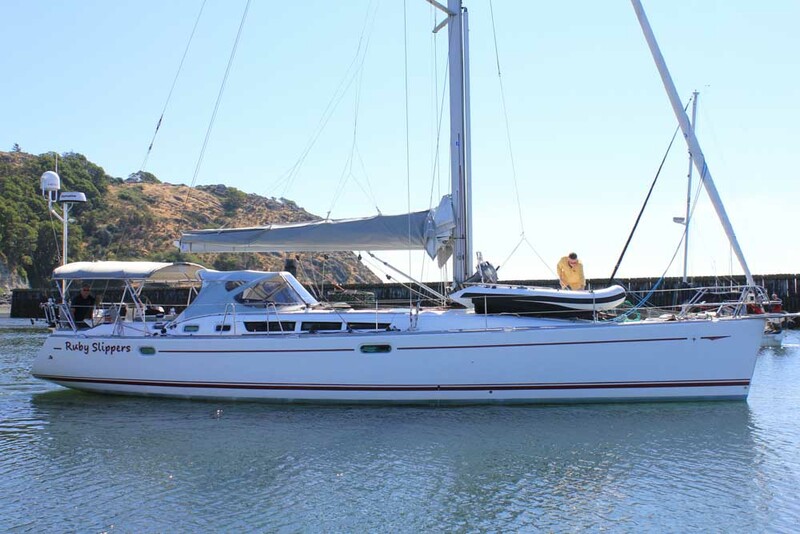 Jim and Jeanna and their twins, Molly and Jessie, took a sabbatical in 2007 to cruise for two-years on their Jeanneau 49 from Anacortes to Australia and back. Since that time, Jim has used RUBY SLIPPERS to lead a flotilla of boaters up the inside passage to Alaska every summer since 2011. 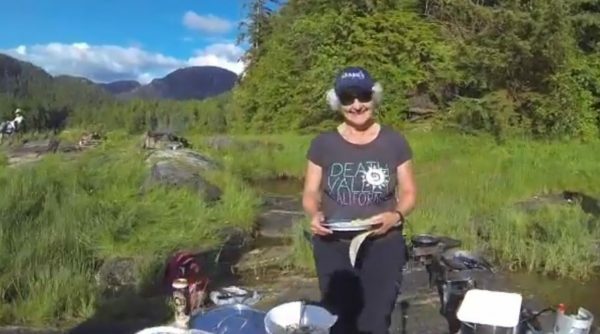 Check it out on Facebook – SAIL ALASKA. Amy comes to us from Minnesota where she was born and raised. She has called the Pacific Northwest her home since 1999 when she and her family moved here. 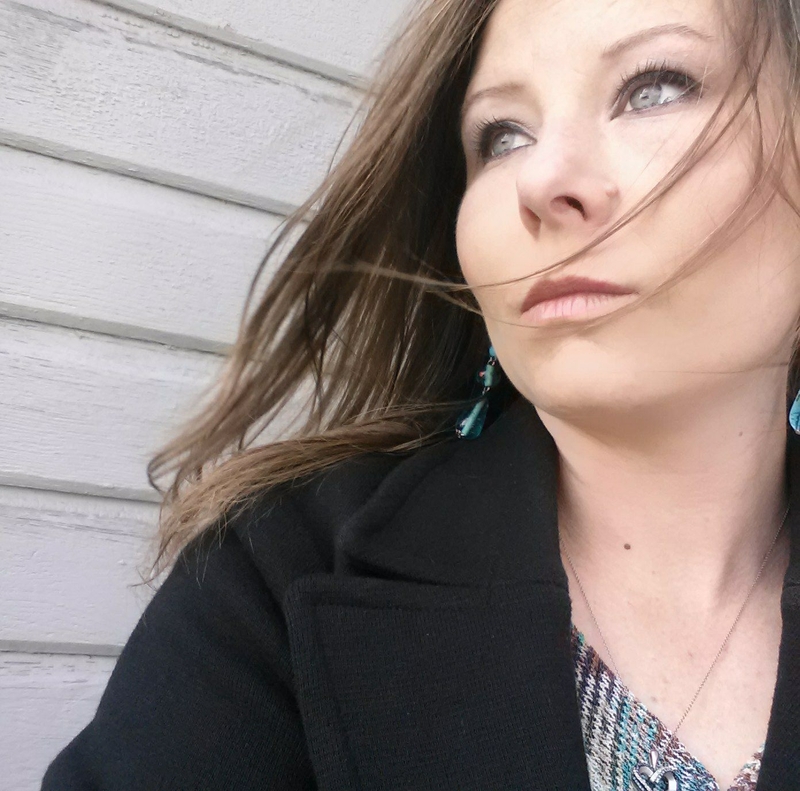 Amy is an avid outdoors woman who loves sports, to fish, hike and hunt in the PNW with her family. In her spare time you can find her on a football field either coaching or playing, or in a barn helping her children with their 4-H dairy cows. Amy has a degree in Multimedia and Interactive Technology which serves her well at Marine Servicenter. Amy works from our Anacortes Sales office where she plays key roles to our company’s success as our brokerage and office assistant, marketing assistant, social media and website admin, and photographer, as well as finding time to assist Jim Rard with Marine Servicenter’s annual Sail Alaska flotilla. Amy is still new to the boating industry, but she’s learning fast and enjoys helping Marine Servicenter become a better business and boating community resource. 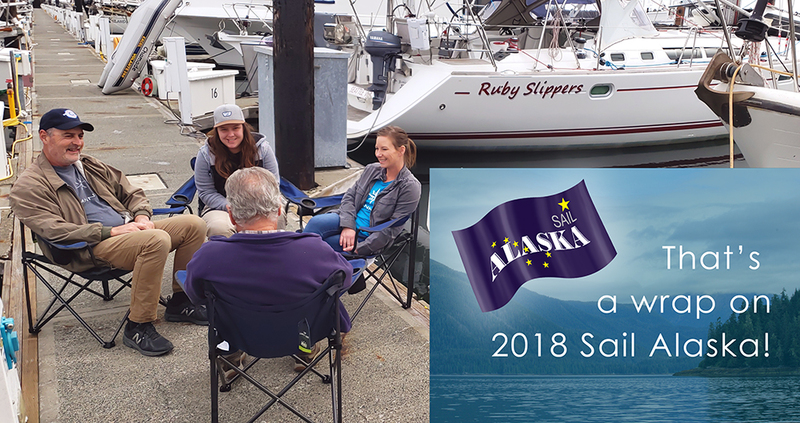 2018 SAIL ALASKA 2018 Sail Alaska has come to an end, as all boats in the fleet, are in their home anchorage or on their next adventure. We had a great group this year! Thank you to all the participants and thank you for the camping chairs for potlucks! They’re already getting put to use! 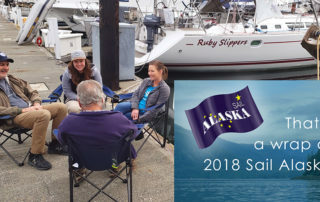 Now on to planning 2019 Sail Alaska! Want to Learn More About Sail Alaska? Stay tuned for photos and videos -coming soon! 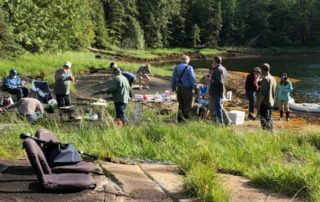 Update from Jim Rard 2018 Sail Alaska Wednesday Morning -07/11/2018: The 2018 Fleet spent the night on Dundas Island. They've been catching fish and kayaked in the lagoon at Kumealon Inlet as well as played in the waterfall. They left Dundas Island at 6:00am. 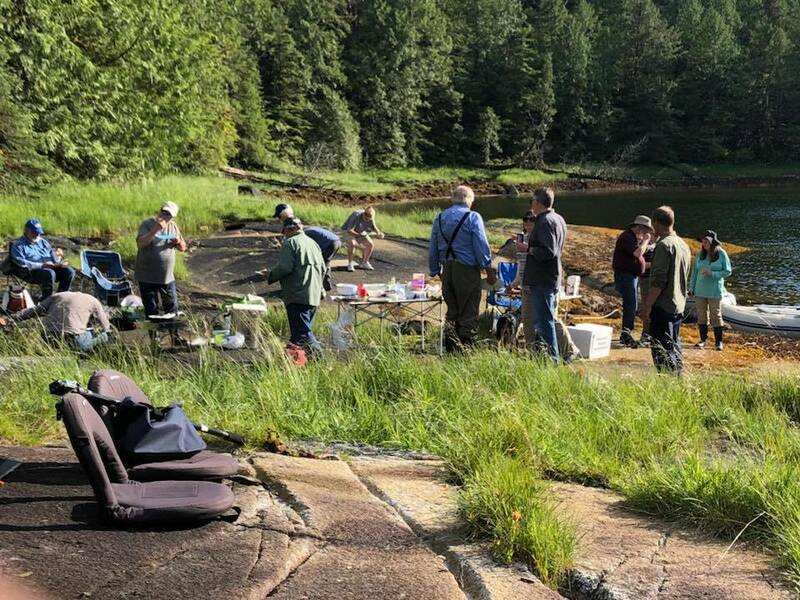 They are currently crossing Dickson Entrance and have arrived in Alaska. All who have sails, are sailing as the wind is westerly at 10 knots. The weather is in the high 50s to low 60s with low clouds. 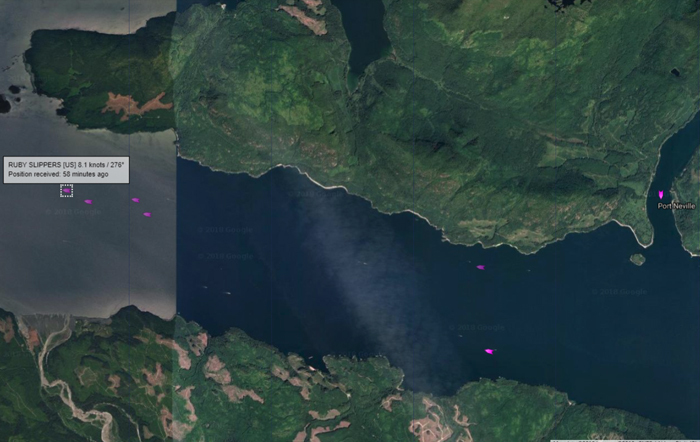 The Fleet is expected to arrive in Ketchikan around 4:30pm tonight. Cell service should be good there. 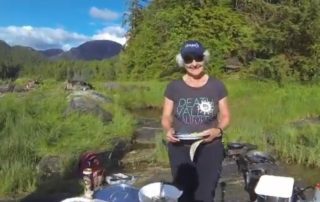 From Jim Rard update: 7/01/2018 We are on Calvert Island and going hiking tomorrow. The weather is starting to clear up and the sun is out today.. We'll be at Shearwater on Tuesday. Should have good internet for more updates. 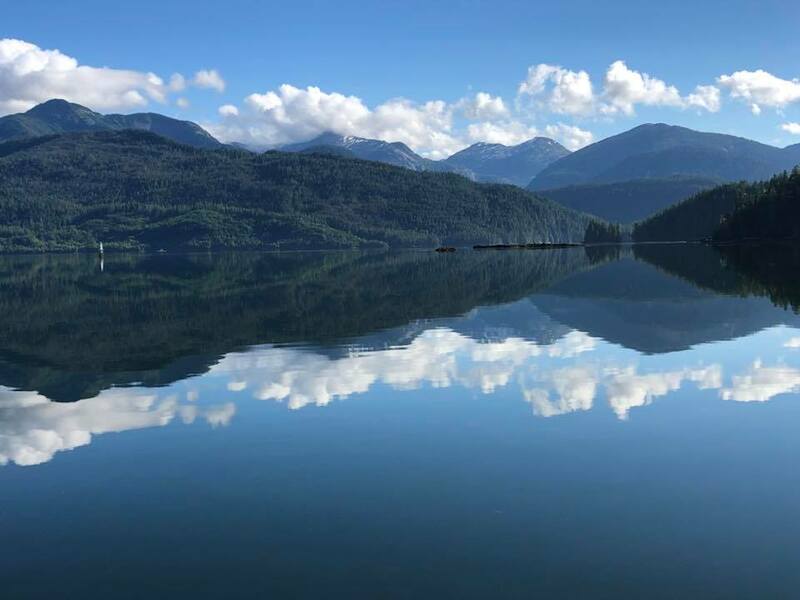 2018 Sail Alaska Flotilla -Leaving Port Neville, BC and Heading to Booker Lagoon!